Is there a member of your family or a dear friend of yours about to leave for Rome? Would you like to give him/her a nice gift for the upcoming trip? 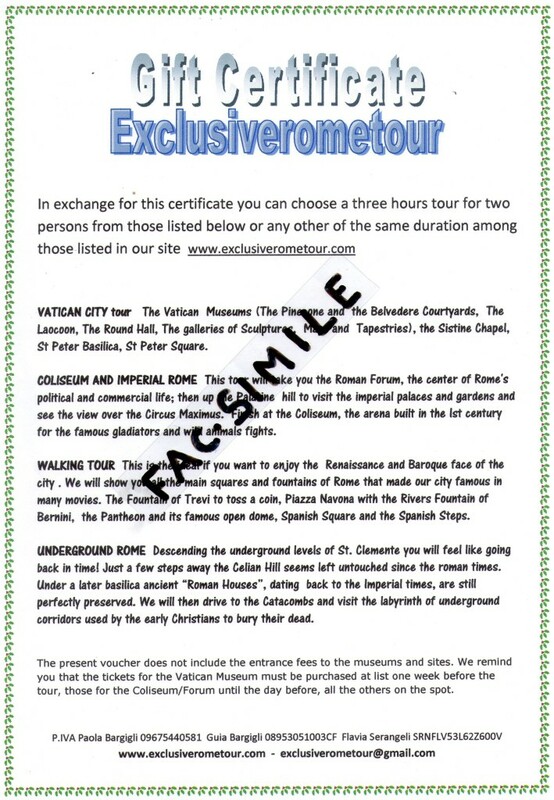 Then, why not to buy a “Gift Certificate” for a guided tour of Rome? We will send you a voucher valid for one or more tours to choose from among the many described on our site, including or not including tickets. Contact us to discuss your requirements and arrange the details of your gift certificate.